As we celebrate the International Year of Family Farming in 2014, there are many initiatives held around the world aiming to engage citizens including children and youth on the celebration. This year, children between 8 and 12 years of age in Latin America and the Caribbean are invited to celebrate the International Year by entering a drawing competition. Promoted by Un World Food Organisation (FAO), the competition is one of numerous global activities planned throughout 2014 to mark the International Year. Entries will be accepted until 31 July with winners announced on 22 August. Each school may participate with a maximum of 20 students (one drawing per child). 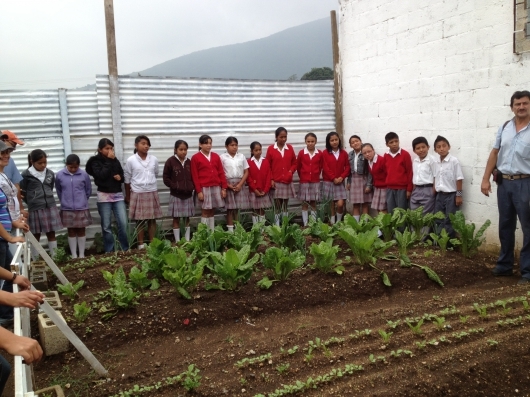 Schools can send entries via email to rlc-agricultura-familiar@fao.org or by post to respective FAO country office. The drawings must highlight the importance of family farming, community forests, family livestock and poultry production and small-scale fisheries. The competition is an opportunity for children to learn about family farming and its impact on nutrition, fighting hunger and poverty eradication through drawing. Children can also focus their drawings on the contribution made by small farmers to employment, economic growth and sustainable use of natural resources. Winners will receive the visit of a specialized team for a ' Eating Healthy Day ' at their school, including a healthy breakfast for the entire school. This will be an ideal opportunity for teachers to introduce the topic of family farming and school feeding to students through various activities and teaching materials.